1&1 IONOS is a web hosting company which was launched way back in 1998 with its headquarters situated in Montabaur, Germany. 1&1 is a very large domain registrar and web hosting company and operates globally with having its offices over 10 different countries. 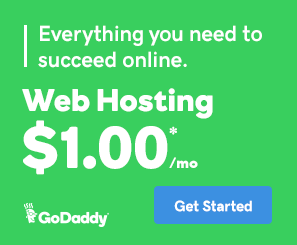 Similarly, Godaddy is also a web hosting and domain registrar company which was launched in the year 1997 and currently serves over 17 million customers. Godaddy is headquartered in Scottsdale, Arizona, US. If you are confused between which host to choose among Godaddy or 1&1 Ionos then you have come to the right place. Since both the web hosts provide pretty good plans for affordable price and have many similar features it can be a difficult choice. To make your choice easy, here we have compiled a list of few most important factors that you should look for before choosing any of these two hosts. Though 1&1 Ionos may seem like a new company to some people, it is not. It is the old 1&1 but with better infrastructure and features. Godaddy and 1&1 Ionos both provide great value for money for their plans and services. Both the hosts include certain freebies with their plans which not many web hosts do. To get a better idea about what each of these two hosts provides for the money you pay, we will be comparing the shared-hosting plans of both the hosts’ side by side. Except these specific plan features you also get 24/7 customer support with all the plans of both Godaddy and 1&1 ionos and 30-Day money back guarantee. You can access the help center provided by both the web hosts in case you need any help. Comparing various factors from both the hosts we can see that 1&1 ionos provides all the plans for $1/month for the initial period of 1 year or 6 months but charges much higher than what GoDaddy charges throughout the course for similar plans. Though in terms of processing power and resources, 1&1 ionos provides a higher amount of resources such as RAM and CPU power when compared to Godaddy. So if you are okay with high renewal prices and need a higher amount of resources then 1&1 ionos is the best choice for you while if you require lower and consistent prices for your plans and can work with the slightly lower amount of resources, then GoDaddy is the best choice for you. Different hosts provide different features based on the plans they provide, though most of the plans are somewhat similar in nature many of them are Host specific and complementary in nature. To understand this better let’s take a look at the different features provided by both the web hosts. One click installer for 125+ applications. 24/7 customer support and security with DDoS monitoring. 1 MySQL database with 1 GB storage space. MS office 365 business email for the first 1 year. The more advanced plans have additional features along with these rudimentary features. Some of them are unlimited storage, unlimited websites, unlimited bandwidth, double processing power and memory, free SSL certificates, free backup and restore, premium DNS and CDN. One-click installation for over 70 applications. 1 free domain for 12 months. The high-end plans have better performance and memory which stretches up to 9 GB of RAM and 500GB of storage space. Some other features are unlimited storage, unlimited websites, unlimited databases, CDN with Railgun, SiteLock for better protection and security etc. In terms of features, 1&1 Ionos provides better security features even with the basic plan while GoDaddy charges even for the data backup and restore features. But both hosts provide the basic necessary features needed for a secure website even with the basic plans. Performance test helps to determine how a particular web host will perform in real life scenarios. Performance tests are generally done using third-party websites which conduct different tests on a given host such as page loading speed, number of requests made, total data fetched, response time etc. Here we will be running a performance test on two websites, one hosted on Godaddy servers and the other hosted on 1&1 ionos servers. This will help us to determine which host is better in terms of server performance. Godaddy scored a C grade with 74 points when the test was run from a server based in North America – USA. The total page size came out to be 1.1MB and the load time was 1.91s with a total of 35 servers requests. The rating awarded to this server is good enough though the number of HTTP requests was more than needed for a page of this size but that’s on the website’s part rather than being the fault of the host itself. 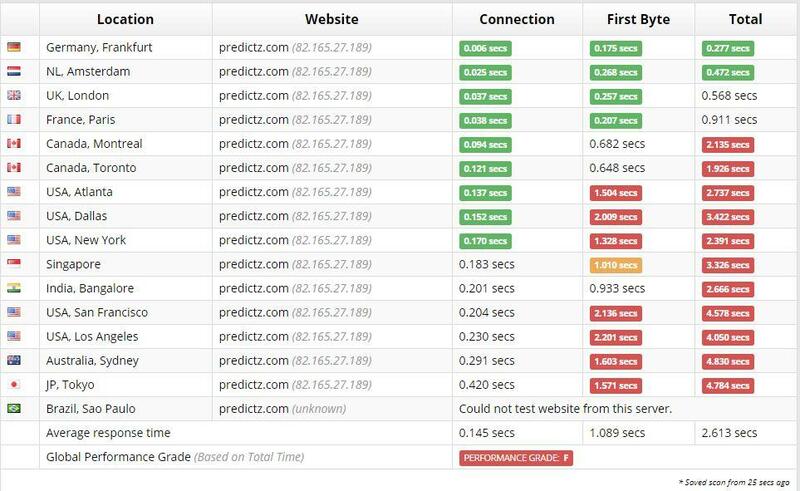 So we can say that Godaddy performed good enough even when the website was not much optimized. 1&1 ionos managed to secure a B grade with 86 points which is much better as compared to Godaddy. Here we can see that the page size was just a mere 363.8kb and only 28 requests were made which was less than Godaddy. With a total load time of 3.93 seconds, we can say that 1&1 ionos performed great in the performance test. 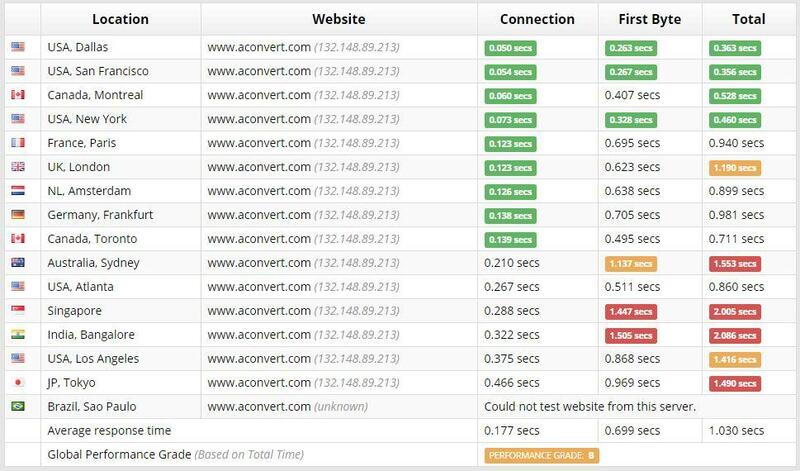 From the test results of both the web hosts, we can conclude that both are equally good in terms of performance. 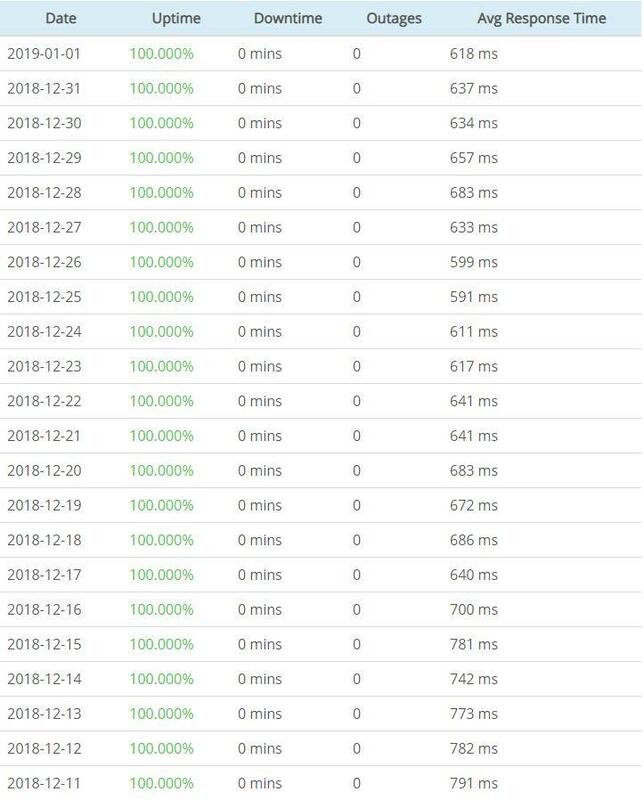 Though GoDaddy lacks a bit behind 1&1 ionos in terms of test statistics that is mostly due to the unoptimized website and not due to low performance of GoDaddy servers. Time to the first byte refers to the time taken by the server to fetch and serve the first byte of data once the request is made by the user. This time is much important to establish the responsiveness of the server. TTFB test results vary depending upon the test server locations as the physical distance between the test server and the client machine has a huge impact on the data travel speeds. If both the client and the host server are located in the same region, then the TTFB time will be considerably lower as to when both are in different geographical regions. To have a fair test we will run the test from the same locations keeping in mind the geographical distance between the client machine and the host server. 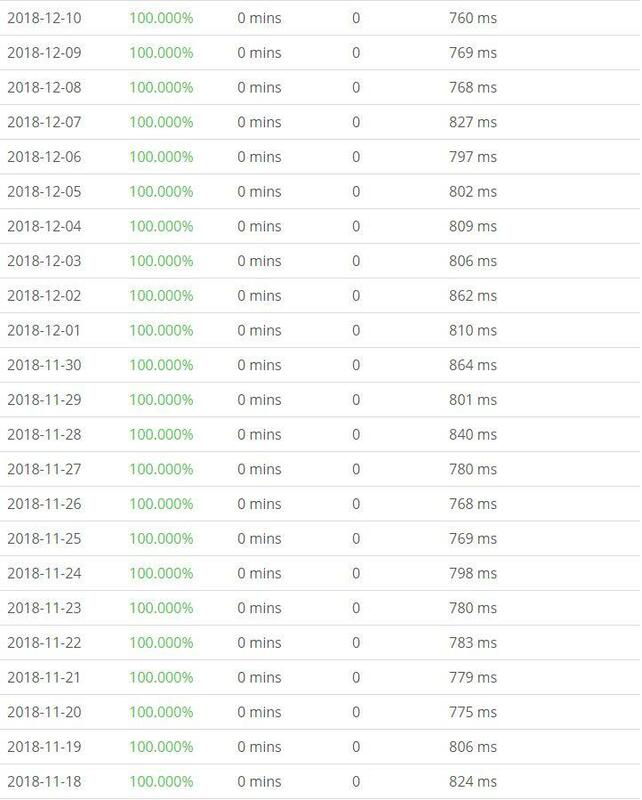 For GoDaddy, the TTFB test results show that the minimum TTFB time was from the server located in Dallas with a connection time of 0.050 seconds and a first-byte time of 0.263 bytes which results in a total time of 0.363 seconds. While the maximum time taken was from the Bangalore server with an overall time of 2.086 seconds. 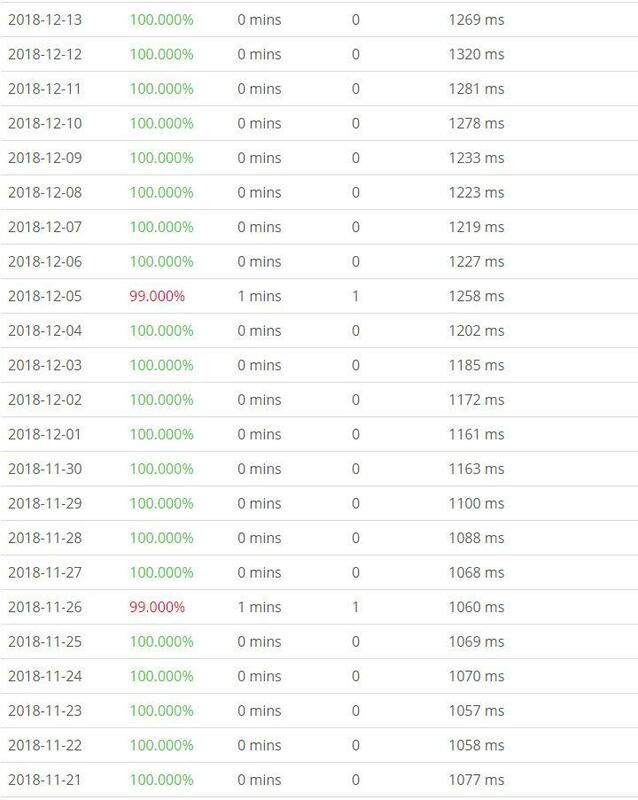 Godaddy secured a global performance grade B which is quite good considering that it performed up to the mark on most of the server locations. In case if 1&1 ionos the minimum TTFB time recorded was 0.277 seconds with a connection time of just 0.006 seconds from the Germany, Frankfurt server which is much lower than that of GoDaddy. But in case of the highest TTFB time, 1&1 ionos got a maximum total time of 4.784 seconds with a connection time of 0.420 seconds which is more than the max time of Godaddy due to which 1&1 ionos got an F in Global performance grade. Going by the TTFB test results we can say that 1&1 ionos does have a lower TTFB time than Godaddy but due to its higher connection time for certain server regions, the overall global TTFB average time drops down below Godaddy’s average time. Though overall both the web hosts performed quite good if we just consider the minimum TTFB timings. Uptime is one of the most important factors that one should consider before putting their money on a particular host. Uptime refers to the time for which a particular web host was active and functioning normally. Downtimes can be caused due to power outages, server failure, and overloading. 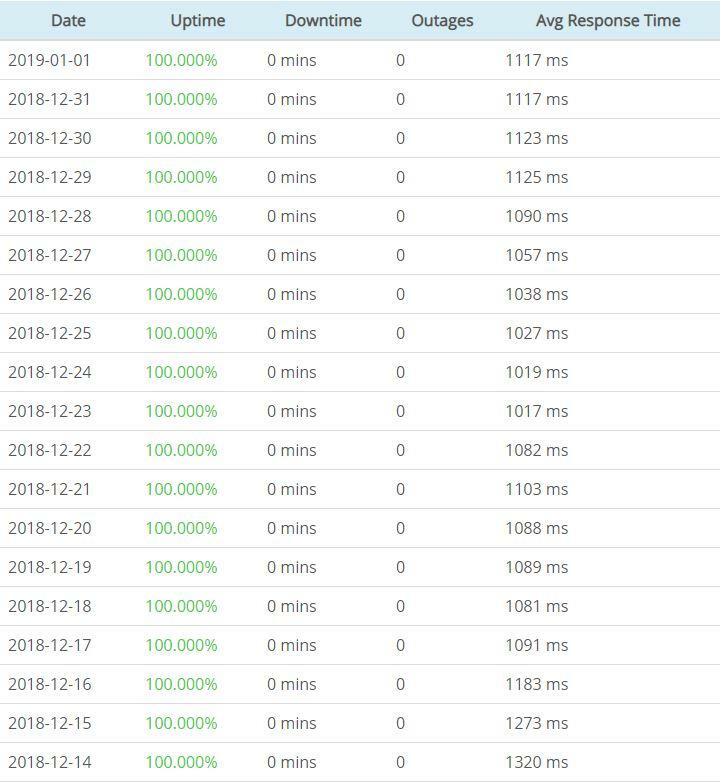 Before buying a plan from any web host it should be made sure that the host guarantees at least 99% uptime no matter what. Lower uptime mean higher downtimes which results in your website being offline for longer periods of time. Here we will compare the uptime statistics for Godaddy and 1&1 ionos for the past 1 month to see which host has better uptime. Godaddy’s uptime statistics show that it faced two minor downtimes one on 5 December 2018 and the other on 26 November for 1 minute each, respectively. The downtime was only for 1 minute and therefore Godaddy maintained its 99% uptime guarantee which is respectable. Looking at the uptime statistics of 1&1 ionos for the past one month we can clearly see that it didn’t face a single instance of downtime and had a clean 100% uptime record throughout this period of time. This shows that 1&1 ionos is pretty good in terms of uptime. Comparing both the hosts in terms of uptime we can say that both the web hosts are equally good. They both maintained their 99% uptime guarantee. 1&1 ionos didn’t face any downtimes whatsoever while Godaddy faced two minor downtimes which were still in the limit of 99% uptime. So this concludes that both hosts perform equally good as far as uptime is considered. Customer support is an aspect which is neglected by most of the people while choosing a web host. Customer support should not be neglected as it comes in handy when you or your website is in trouble. Good customer support is one of the most important factors as you never know when you’ll need one. Though most of the web hosts nowadays promise 24/7/365 customer support but the response time or simply speaking, the time in which you get your queries resolved might vary from few minutes to few days. 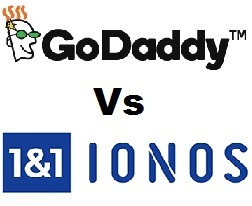 Here we will compare the customer support of GoDaddy and 1&1 ionos and see which one is better and why. Godaddy promises 24/7 technical support which you can avail at any time of the day by multiple ways. Godaddy provides facilities such as live chat, ticket system or email facility to contact the customer care staff. You can also directly call the customer support team and get your issues resolved right away. The response time of Godaddy’s customer support is also very less. Mostly all the queries are resolved within minutes while some may take a few hours depending upon the complexity of the problem. Godaddy has regional language support while contacting the customer support team so that you can clearly explain your issues to the customer support staff in case English is not your primary language. Godaddy accepts payment via all the major means such as credit/debit cards, PayPal, Net banking etc. You can also pay the amount in your regional currency if you are not able to do international transactions and rely on domestic transactions only. 1&1 ionos also promises 24/7 support to its customers which you can avail via the online support center. You can call the support staff directly or you can also use the direct callback service where the customer care staff will call you back on your number and then you can get your issues resolved. Other ways of contacting the support staff are via online chat or the 1&1 ionos help center. 1&1 ionos also features an online help center with lots of different categories of problems from which you can choose the appropriate category that suits your issue the most. 1&1 ionos supports all the major payment methods such as debit/credit cards and net banking. Overall we can say that both the web hosts have good technical support staff which provides quick solutions to your issues and is very responsive too. Considering all the factors compared so far for both the web hosts we can say that choosing one host from these two boils down to your personal choice and taste, as features and performance wise both hosts are equally good. If you are particularly interested in cheaper plans for the first year and are ready to pay higher renewal prices then you should go for 1&1 ionos while if you want consistent prices for your plans throughout your subscription then Godaddy is the best choice for you.